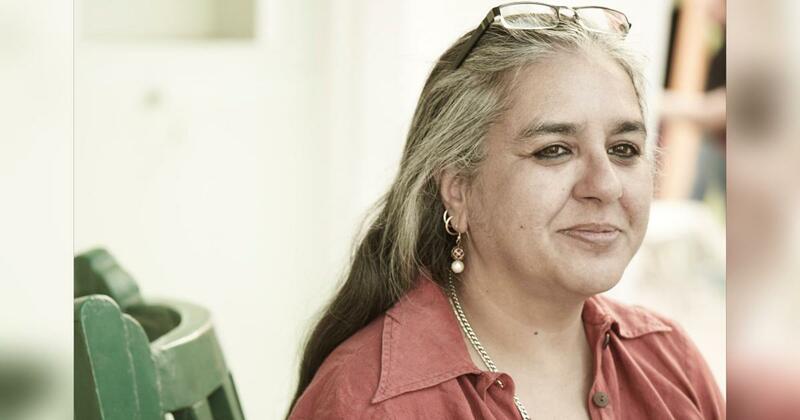 An interview with the writer-translator-scholar who has probably been on more literary prize juries than anyone else in India. What was the first book prize that you judged? Tell us about your experience. The first prize I ever judged was the Shakti Bhatt prize, I was on the selection jury in 2009, I think, the first year that the prize was awarded. Since then, I’ve been shortlisting for the jury along with Jeet Thayil. I felt tremendously honoured to be on the jury – it was the first time anyone has asked me to judge a literary prize. I remember feeling very important – I’ve managed to drop that feeling now, ten years later. What I’ve learned over the years after reading for so many prizes is that you have to take the books seriously and not take yourself seriously. You could be wrong, your colleagues might outvote you, you could change your mind. In the last few years, you’ve been on the jury of practically every single major Indian book prize. What do you enjoy most about the judging process? How demanding is the job in terms of time and level of involvement? It’s very demanding. It is an honour and a privilege and there’s a lot of responsibility. I’m pretty sure all judges feel that and take the task very seriously. People think it’s fabulous, that reading books is not a job, it can only be fun. And it is fun, but in a sense, you’re not reading for pleasure. You have to keep your critical eye and ear tuned to what the book is saying, what it’s not saying, what it wants to say, what it thinks it’s saying. That’s quite a complex process of reading and it can get very tiring. Also, you’re judging one year’s books against each other, you are awarding the prize for what is eligible for that year, not for all time. So you have to keep the other books somewhere in your head even as you’re reading the book for itself. I do think that timelines are pretty short – typically, you get just a few months (two usually), to read about 50 books. Of course, some prizes, like the Shakti Bhatt and Tata Lit Live send you only the short-listed books, so that’s less demanding on your time, but equally demanding on your critical faculties. At the same time, what I enjoy most is the reading itself. I get to read new books all the time, they pour into my house by the day. And for someone who spent a very large part of her life being too broke to buy books, this is a great good fortune. What is that one quality that you look for in a book? These are all literary prizes, so language has to be the first thing that attracts you. It’s not okay to tell a good story badly or to tell a great story in poor language. After that, everything has to hang together – plot, characters, emotions, background. For me, a very important yardstick for a book is whether or not it haunts me after I’ve put it away. This is different from “remembering” a book. Haunting is more tenuous, more unbidden, more sneaky. Different books do it in different ways – so I can’t say that all hauntings have the same quality or are made up of the same thing. What can turn you off the most while reading a book? Again, unimaginative use of language, clichés, bad grammar – and there’s a lot of that these days, even in books from big publishing houses that have dedicated copy desks. But clichés are the worst – whether they are linguistic clichés or clichéd characters or situations. Sure, there are only three stories in the world and every story has been told a thousand times in a hundred languages. That’s why clichés are the death of good writing – “it ain’t what you say, it’s how you say it.” The chances of saying something entirely new are pretty small, so you have to say the same old thing in a gloriously new way. Nothing drives that point home more firmly than translating the classics, so maybe that’s where my prejudice against clichés comes from. How do you normally organise your readings for a prize? All kinds of ways. Some of them are silly, like reading the books alphabetically by author’s name. That’s a sign of being completely overwhelmed, actually. But usually, I put aside the books I have already read, then I put aside books by authors who have been published before and have some kind of reputation – those are the ones that I read last. I usually start with first-time writers or people I’ve never read before, people I haven’t heard of, you know, all the stuff that might really surprise me. Then I read the established writers, then I re-read the books I’ve already read. Of course, I’m taking notes through all of this and making separate piles in my study. It’s a very physically messy process. But if you’re reading for more than one prize at a time (which I often do because of the way deadlines are set up), it’s really something. You have to divide your room into two spaces, one for these submissions and one for those submissions. Then each space gets category piles – ones I’ve read, ones that are possible, ones that I’m not sure, the outright rejects go back in the box. And then the ones that I’m reading are in the bedroom, on the sofa. Everywhere except in the kitchen. It’s quite an amazing sight. And you’re terrified that some friend will stop by and casually move a book or two around, because they’re browsing, or they need a place to put down their phone, or whatever. What is the largest number of times that you’ve read a book for a prize? Twice is not at all uncommon, three is rare, but it has happened. For a book that makes it to the shortlist, a second reading is the norm. Have there been instances where your views about a book have changed completely after reading it a second time? What role does “buzz” play in judging book prizes? How much importance do you give to book endorsements, book reviews and general word of mouth? Honestly, zero. We’re here as jurors because we are capable of having and are mandated to have strong independent opinions and not be swayed by endorsements and book reviews and other kinds of marketing hype. Often, it’s the quiet book that is the better book and it’s our job to find that book and deliver it to the attention it deserves. Most publishers bring out their big books in hardback and also pay a lot of attention to design and paper quality. Do you think a book’s appearance makes a difference to judges? Yes, a book’s physical presentation does make a difference, at least to me. And that does not mean a hardback and a flashy cover. But good paper matters as does a clean font, both make the book easier to read. You’re more receptive and focussed because you’re not battling thin paper where the subsequent page shows through or holding together shoddy binding. A clean text is also important – no typos, a good copy edit so that there are no grammar and syntax mistakes, no yards of footnotes on the reading page. Equally, a text not littered with local words for food and drink and clothing and kinship. These are all things that a publisher can take care of that make the text within the covers, whatever those covers are, more appealing. How many times has your favourite book won a prize you were judging? Surprisingly often, actually. I would be tempted to say almost always. A good book is a good book and generally rises to the top of every juror’s list. It’s amazing how often shortlists from jurors are mostly mirror images of each other. The tussle begins when we have to choose a winner. And I’ve been lucky that I’ve almost never been unhappy with what I signed off on. Either that, or I’m a real bully and just shout my colleagues into submission. In the West, we have seen dancers, filmmakers, philosophers and even popular film stars on the juries of major book prizes. Do you think the juries for Indian book prizes should also be more eclectic and diverse? No, I think books should be judged by a peer group of people who inhabit the literary world. We have enough film stars and politicians at our literary festivals and they are usually there to talk about everything except literature. On the other hand, I think there should be specialist juries for niche books – it would be absurd for me to judge books on marketing or books on gardening. Nor would I be asked to judge entries for a major dance award. All our book prizes at this moment are literary prizes and I think those need to have people involved with literature to judge them rather than celebrities from other walks of life and expertise. You have been deciding the shortlist for the Shakti Bhatt First Book Prize alongside the poet and novelist Jeet Thayil for some years now. What do you think of the new writing emerging from India? Are there any particular genres that debut writers are better at? I think new writing from India is exciting, all new writing from anywhere should be exciting if we are to call it new in every way and not only in terms of it being recent or young. And remember, of course, that in this interview, the only prizes that we are talking about are those given to books written in English or translated into English. Debut books come in all shapes and sizes and in many genres and with many persuasions. New writers are always told to write about what they know best – so many first books, both fiction and non-fiction, are deeply deeply tied to personal experience. Some are good and some are not so good. A few years ago, non-fiction by young Indian writers was superb – strong, vibrant, sensitive, fearless, beautifully composed and put together. Rohini Mohan and Raghu Karnad debuted in the same year and both won awards. There are other years when fiction has dominated the short list. This year, the Shakti Bhatt shortlist is a good mix of fiction and non-fiction. Plus, of course, the special thing about the Shakti Bhatt prize is that it includes writers from the whole of the subcontinent, so you get a better picture of what concerns young writers in our part of the world. Are Indian writers at par with writers from the rest of the subcontinent right now, particularly those from Pakistan? Why do you think Pakistan is producing so many quality writers despite its lack of a publishing infrastructure? There are fertile and vibrant periods of writing for all these countries – there was a time when Sri Lankans were widely represented on shortlists for all kinds of literary prizes. Pakistan had a great flowering about ten years ago (when Indian fiction was a bit stagnant and much less vigorous). Bangladeshi fiction has also had its decade of recognition. There are more of us Indians and we write in many more languages, so we are more visible to the world, in a sense. And we’re supported by a very loud and noisy publishing industry. We also publish tonnes of rubbish. But don’t forget the years and years when Pakistanis won every award. So, no one country produces naturally better writers, despite how strong or weak their publishing infrastructure is – this has nothing to do with how good or bad writers are. Unfortunately. A few years ago, you were part of the jury that awarded the Best Book of the Year prize to a poetry collection by a well-known poet. What was the reason behind this somewhat unusual choice? Do you feel there is a need for a standalone, major prize for poetry in India? Yes, Karthika Nair’s Until the Lions for the Tata Literature Live in 2015. What was unusual about the choice was that it was Book of the Year in the Fiction category. Some people were critical of the fact that it was a book of poems but I don’t think any of the jury members was uncomfortable with the choice. As far as we were concerned, it was a fictive response in poetry to a grand work of fiction from the past. There are standalone poetry prizes for poetry – the Srinivas Rayaprol poetry prize for poets under 40. But it doesn’t have the same hype and the marketing machinery that the bigger book prizes have, so we don’t hear about the winners and we certainly don’t get to read their work. The Great Indian Poetry Collective also has an emerging poets’ prize – there’s stuff going on, but like everything else related to poetry, publishers and this thing called the “market” are wilfully blind and deaf. The world of publishing is very close-knit and incestuous, which could lead to favouritism and conflicts of interest. Have you faced or witnessed such problems while judging awards? NEVER. And I mean that in capital letters. A good jury is a balanced jury. As you said, because we’re a relatively small community that hovers around English writing in India, you’ll almost never have a jury is which no one knows any of the writers whose books are being considered. There’s always enough jury members to ensure that no one’s favourite or beloved or anyone related in any way gets selected for the wrong reasons. Wrong reason being the operative phrase. Your friend’s book can win because it is the best book. Typically, if you have a relationship with the writer being selected, you recuse yourself from that selection. Besides, jury members are also selected for their integrity, so I think the question of favouritism is a bit misplaced. Do you think some books benefit, albeit unfairly, by being what one calls “timely” or “topical”? Not in my experience. What could “timely” or “topical” mean for literary fiction? You could be writing about the state of the nation today but it’s about how you write, not what you write about. I think that stands even for non-fiction prizes. 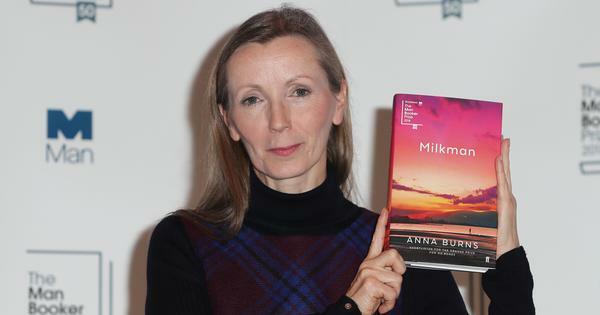 The jury for this year’s Man Booker prize includes a crime writer and a graphic novelist. Unsurprisingly, the longlist features a crime novel and a graphic novel, the latter for the first time in the long history of the prize. How much do the individual tastes and preferences of the jury members influence the judging process? We all select to our own tastes and preferences and prejudices. That’s a given. That’s why we have a jury and not a single judge – to balance these things out as much as possible. I think it’s great that a jury member was able to persuade their colleagues to include a genre that they never had before for a big prize. It makes the prize more inclusive and smacks less of tradition and canons. We have to always seek the outlier, not the conventional, mainstream writer. The more famous or more conventional writer may still win, but the outlier must always be considered – how else do we expand the universe of reading and writing? This year the Golden Man Booker winner was decided, somewhat controversially, through a popular vote. What is your view on popular voting for literary prizes? Do you feel The English Patient should have won the coveted prize through this process? I think there is a place for popular choices – here in India, the Crossword awards have a separate category. But I think the popular awards need to be separate from critics’ awards, as Crossword does. I imagine very different kinds of books are judged by general readers and by critics. It would be a rare thing for these choices to coincide. And that is a good thing – it shows how much there is to read and how different people read differently and for different reasons. The Booker seems to going through some rough weather in terms of making up their minds about who is eligible (the back and forth about the inclusion of American writers is just laughable) and who can vote and who can win. I don’t want to be cynical and say that it’s all driven by the search for more revenues for the book industry but the Booker establishment really needs to settle down and go back to doing what they used to do best – choose a book that some of us will be persuaded to read because of the worldwide hype the Booker can generate. Unlike the Man Booker in the UK and the Pulitzer in the US, India doesn’t seem to have that one big prize that has captured the imagination of the casual book browser. Why do you think that is so? The Pulitzer is different – the journalism prizes have many categories including photography and the Arts and Letters prize includes drama and music. So it’s not a single dominant literary award like the Booker is. I think in India, the forest of prizes grew as the publishing industry in English has expanded beyond anyone’s imagination. I don’t think that there will ever be a single dominant award in India because we think and experience the world in many languages even if metropolitan book-buyers read in English. We don’t have a single understanding of the world and our place in it, even as individuals. So there can’t be one single prize that captures our imagination for how the human condition is being explored. It’s only recently that the bigger prizes have started to include translations on their lists or have separate prizes for them – how can there ever be one award that says it all for an Indian reader. Every year you shortlist writers across genres for the Sangam House Fellowship. How is that process different from judging a book prize? I don’t do the selections any more, I didn’t really, after the first couple of years. Mainly so that I could honestly say to friends who applied and were not selected how sorry I was and that I don’t know why they were nor chosen. But when I was selecting along with others, the nice thing was that we could take many people and we could take many people across genres and languages. So you’re not picking one writer over many others. Also, at Sangam House, we do consider who needs the time and space the most from among the applicants – so what you plan to do at Sangam House is as important as what you have already done. What is your one piece of advice for Indian publishers? Be adventurous: support poetry, support literary fiction, support voices that have been suppressed, challenge the status quo, let a hundred flowers bloom. What kind of books do you enjoy reading the most in your free time? I try and read as much non-Indian writing as I can since my “work” reading is all from the subcontinent. I read the classics a lot. I also try and stay abreast of all the new mythologies that are coming out faster than I can say Ramayana.